While much of the automotive industry is spending its time dreaming of futuristic self-driving vehicles, Mazda has a different priority in mind. The brand—whose slogan is “Driving Matters”— believes in a world where buyers still enjoy the experience of driving. As evidence, a recent Mazda driving study that polled European drivers discovered that 66% of drivers across Europe would like to drive their own vehicle, even if self-driving cars are readily available. Those polled in the UK specifically were even more supportive of a future filled with human drivers. A total of 70% of those polled in the UK voted against a future ruled by self-driving cars. That’s not to say that the Mazda vehicles at El Dorado Mazda and other dealerships won’t have any autonomous technology. The brand prioritizes technology as much as it does smooth engineering and sleek design. But instead of striving for completely autonomous vehicles, the company aims to provide autonomous features that can work with the driver as tools for extra awareness of potential collisions. 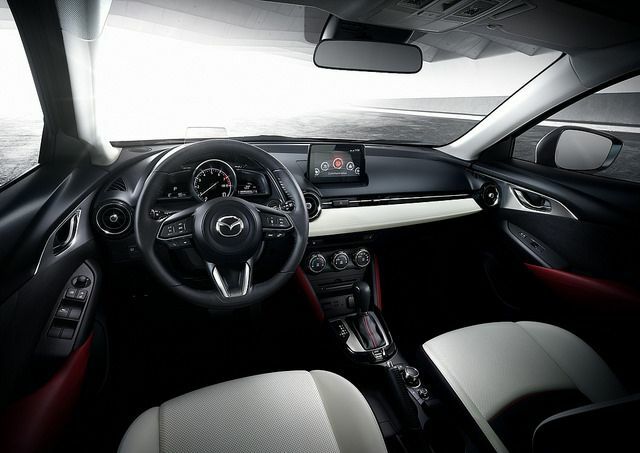 Mazda firmly believes in the pleasure of driving—especially when it comes to its lineup, which you can find at El Dorado Mazda. Currently, the company has no foreseeable plans to take the driving experience away from its loyal customers, and we’re glad for that.